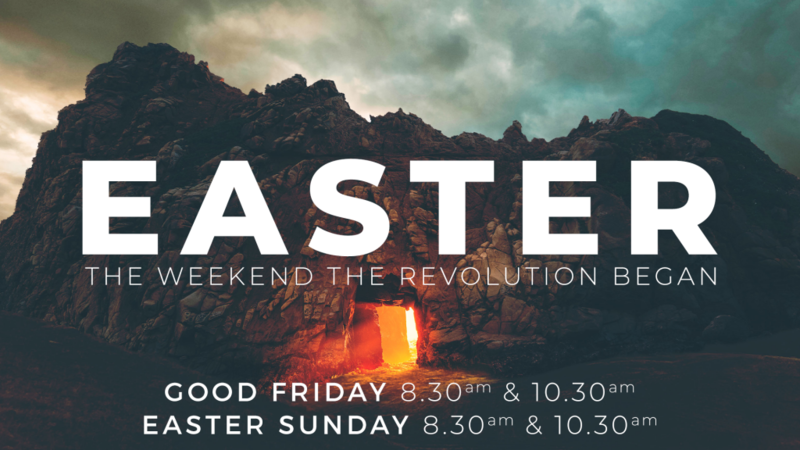 You are invited to join us this Easter to celebrate the life, death and resurrection of Jesus. We’ll focus on how the events of the Easter weekend began God’s revolution that is impacting the whole world! All our services over the Easter weekend are short, family-friendly services with music, videos and a message to engage all ages. This year the Easter weekend includes Good Friday on April 19 and Easter Sunday on April 21, 2019. We have church services at 8.30am & 10.30am on both Good Friday and Easter Sunday. If you are visiting us for the first time, be sure to grab a welcome pack near our info desk, there are also welcome activity packs for the kids. We have two parent rooms available for parents of young children. Buses travel from Cairns City to Greenslopes St on Sunday mornings. You can plan your bus trip using Translink’s Journey Planner. We look forward to it. I remember the Easter Morning sunrise on the esplanade with a cooked breakfast afterwards. That was really special as it drew in many visitors. This will be just as marvelous, and we look forward to being there. Thanks for putting on such an exciting, family- friendly program.